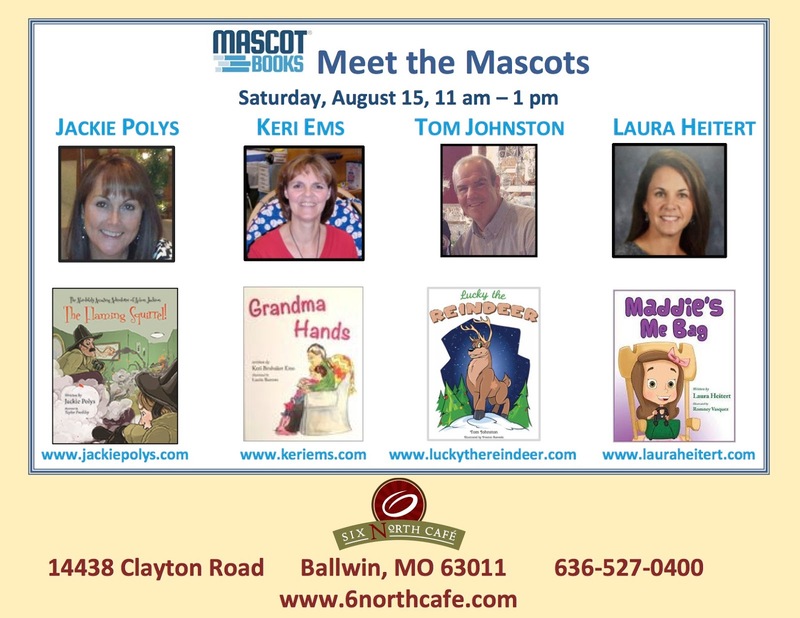 Meet four local authors who write about young men and women with the power to change the world for the good from 1-3 p.m., Sept. 5, at Main Street Books, 307 S. Main St., St. Charles, Mo. 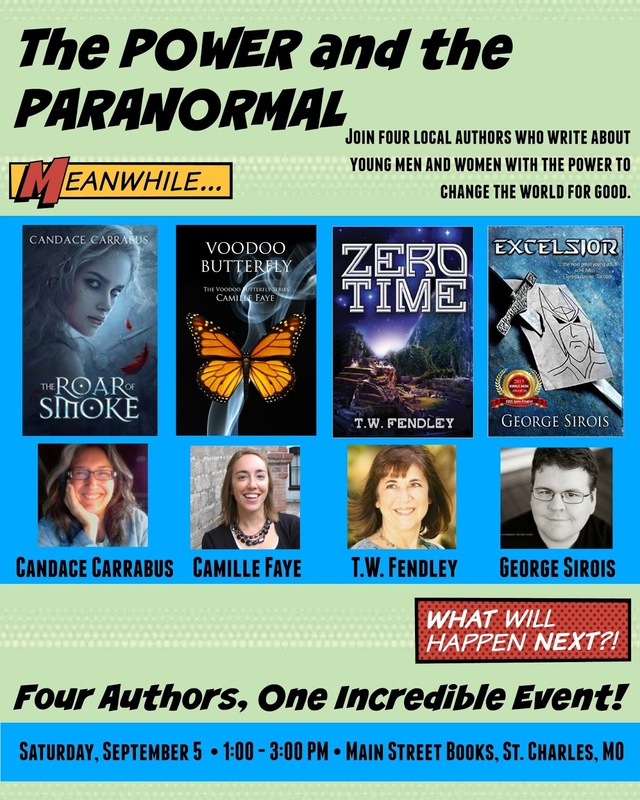 Featured authors at The Power and the Paranormal signing are Camille Faye, (paranormal), Candace Carrabus (fantasy, adventure, romance), George Sirois (science fiction and young adult), and T.W. Fendley (fantasy and science fiction). Enter drawings for one of four free Main Street Books gift cards. We'll also have mini-scones and gift cards from Picasso's Coffee House, a favorite local hangout. In 2010 St. Louis Writers Guild created Writers in the Park to celebrate its 90th Anniversary. The event was a huge success and has returned every since. Now St. Louis Writers Guild is celebrating its 95th Anniversary, and continues the tradition of providing great workshops and literary events to the region. Writers in the Park has moved indoors this year, but is still at Kirkwood Park. We've taken over the second floor of the community center and have an exciting day of events planned. Multiple writer tracks every hour for adults, a writing workshop for young writers, and a book room filled with local authors. A genre talk, a recording of Write Pack Radio, and more. Best of all it remains free and open to all writers, no pre-registration needed. 2015 Writers in the Park Presenters! 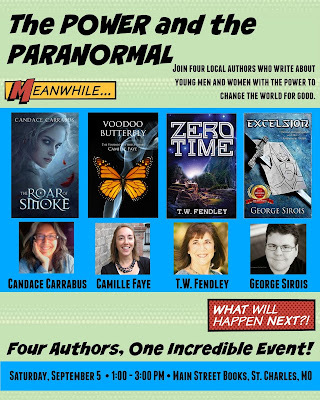 Thank you - These amazing authors, organizations, and companies are directly responsible for keeping this event free and open to all writers! This year the event is indoors, no more Writers Melting in Park! Welcome to Siggy Buckley! Educated in Germany with a Master’s Degree in English, Siggy lived in Ireland for over 15 years, first teaching at the University of Limerick as an adjunct professor, while building up an organic farm. She later ran her own businesses in Dublin before coming to the USA in 2003. In 2005, Siggy married an American and pursued her life-long dream of writing. Among her previous publications is the autobiographic novel Next Time Lucky: How to Find your Mr. Right. She also created a series of travelogues about home swapping Intrepid Home Swapping- Insider Secrets for Successful Homeswapping. I Once Had a Farm in Ireland: Living the Organic Lifestyle. www.IoncehadaFarminIreland.blogspot.com. A historic short story followed There’s No Going Back that is also available in German. Her first poem Special K was published by Akashicbooks.com.She is a passionate blogger; her main site is called Siggy’s Omnibus. 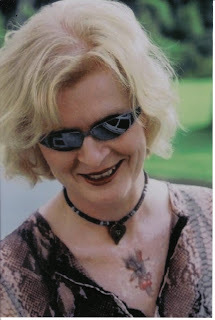 She also created an Internet style coffee house platform for writers called www.Writersgettogether.blogspot.com. Her Twitter handle is @Hernibs. Siggy Buckley appeared several times on local NPR with Melissa Ross’ First Coast Connect and On First Coast Living (Local TV ─ NBC) and had numerous interviews on blog talk radio. Her experience as a former Irish matchmaker makes her a welcome guest for local paper interviews and Op-ed pieces.Since 2006 she has been a member of the National League of American Pen Women in Jacksonville, FL, and writes a book/movie review column for their Jacksonville branch. What brings your writing into focus? The ability to put what happened to me in my life into words and stories so that I can share them with readers. What inspired your latest book? My life. I had other plans for myself; life happens--as John Lennon allegedly said--when you’re busy making other plans. Written or not, what’s the most ill-conceived story idea you’ve ever had? At age 12, I began to write a crime story, having just started to enjoy them. I managed exactly 2 paragraphs describing the villains sitting around a table and scheming. I had no idea of what their crime would be or what should happen next. I left it at that. How much fact is in your fiction? If I said my works are true verbatim, that might be a shocker to some readers--and my family. I prefer to call it “creative non-fiction.” I wish I could write different genres, but honestly I lack the imagination that is necessary for that. What tune/music could be the theme song for your book? I alternate between two. For my farm book I’d say: "Non, je ne regrette rien" by Edith Piaf and overall for the rest: "I did it my way" by Frank Sinatra.A wheelbarrow, a cable drum, gardening tools, and a pickaxe are unusual items on a wedding registry. They’re what Mac and Siggy, a German professional couple, need to fulfill their dream of organic gardening. But Siggy doesn’t know that Mac is harboring secret dreams of full-scale farming and emigrating to seek a healthier and simpler life in an unspoiled country: Ireland. After two babies and the Chernobyl meltdown in 1987, they are scared enough to make big changes. They buy a farm in Tipperary, and give up their jobs, friends and home to raise their children in an unpolluted environment. More than just fleeing the nuclear threats, they want to blaze a new path to wholesome, sustainable living. A period of intense learning and acquiring new skills follows: how to raise chickens, pluck geese, breed cattle and sheep, and how to grow all kinds of vegetables. Soon they realize that farming means a relentless workload with no time off. They almost kill themselves to produce healthy food. I Once Had a Farm in Ireland is a modern woman’s journey from a sophisticated, hectic urban life in western Germany seemingly back in time to a lifestyle that may be rustic, so different but just as complex as a modern European professional’s. It’s the story of a woman who sacrifices her own dreams for the sake of her family until she discovers her own path. Detailed descriptions of gardening and farming activities, combined with recipes make I once had a Farm in Ireland a useful “How to” book for green-minded consumers and environmentally conscious readers who are toying with the idea of producing their own food. “As the descendant of central Virginia agricultural families, I relate to the candor of Siggy Buckley's words - "For almost ten years, we nearly killed ourselves — and each other! — producing healthy food." Buckley's book I Once Had a Farm in Ireland: Living the Organic Lifestyle is a 'must read' for any one who considers or views modern day homesteading as idyllic. For, enabling an organic life-style as Siggy found, can be an all consuming life altering experience. For my first book I have this: www.NextTimeLucky.com.